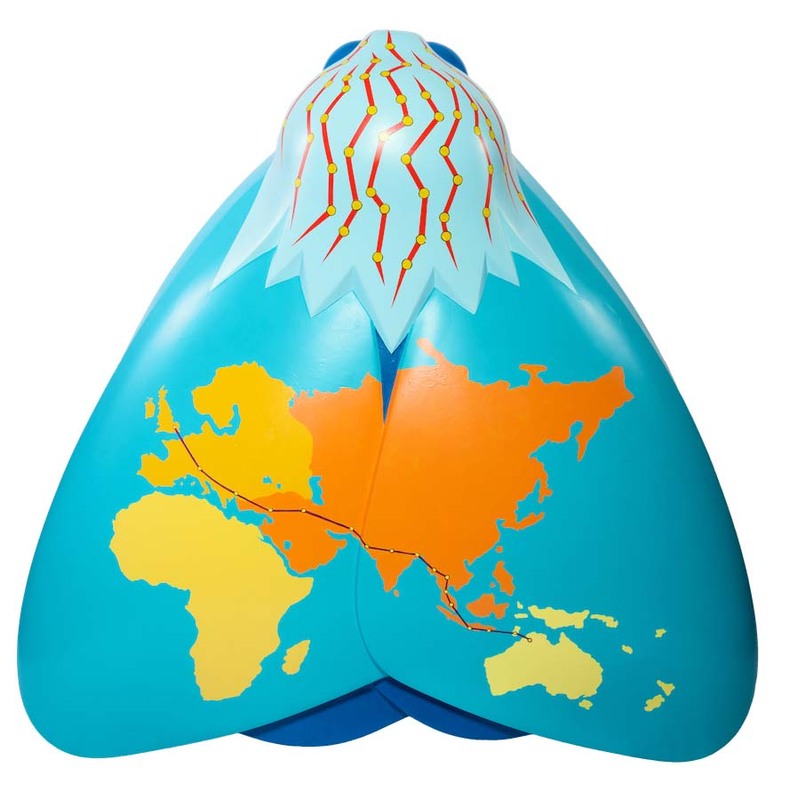 This moth displays the route taken by Amy Johnson on her historic flight across the world. The design uses earthy tones to deliver a visual representation of the exhaustive length of Amy’s journey in a way which highlights her achievement without distraction. In 1930 Amy flew as the first woman from England to Australia in a DH60 Gipsy Moth plane. She covered over 11,000 miles and completed this journey in 19 days. St Stephen’s Shopping Centre is one of Hull’s most popular shopping destinations. Situated in the heart of the city centre, the shopping centre offers popular high street stores, restaurants, cafes, a cinema and a 24-hour gym. Since opening in 2007 St Stephen’s has welcomed shoppers from across the region and hosted numerous popular public events, including Hull’s own fashion week.